Combines the jquery.cycle2 plugin and jquery.masonry to create unique rotating lightbox image & video rotating slideshows. 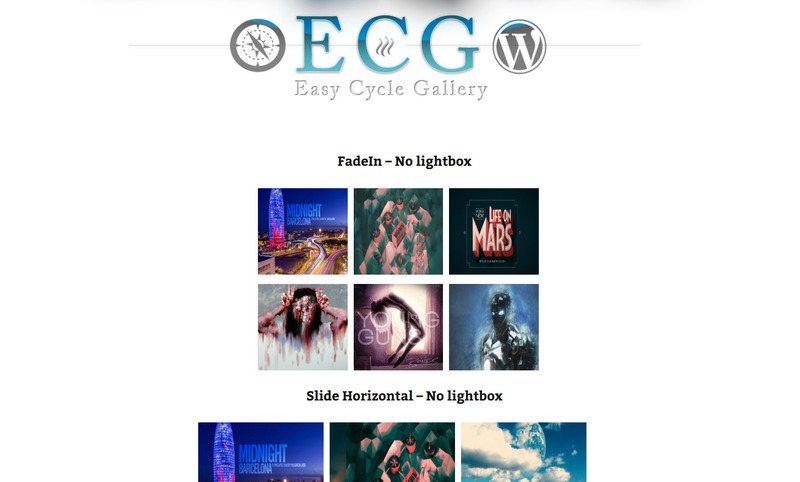 Create responsive cycle slideshow galleries the easy way with ECG. Use images and embedded videos. Set varying slide speeds for each slideshow. 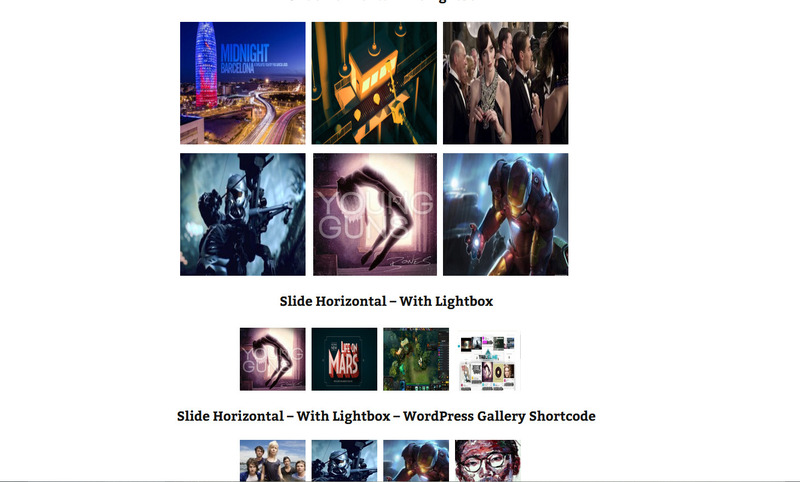 Use wordpress gallery shortcode inside the gallery html to make adding images even easier. Html code is required to create the galleries on the page. Examples are given for easy copy and pasting and a tutorial video is provided along with all options/parameters on the plugins admin settings page.